All the top events in the Capital Region on Friday, Saturday and Sunday. Welcome to the Calendar at saratogaliving.com—our expertly curated list of the top events, live music, readings, workshops and everything else in between hitting the Capital Region on Fridays, Saturdays and Sundays. As always, the Calendar will be updated every Thursday, so that you’ll have a jump on your weekend plans. You’ll never have to ask “What’s going on in Saratoga?” ever again. 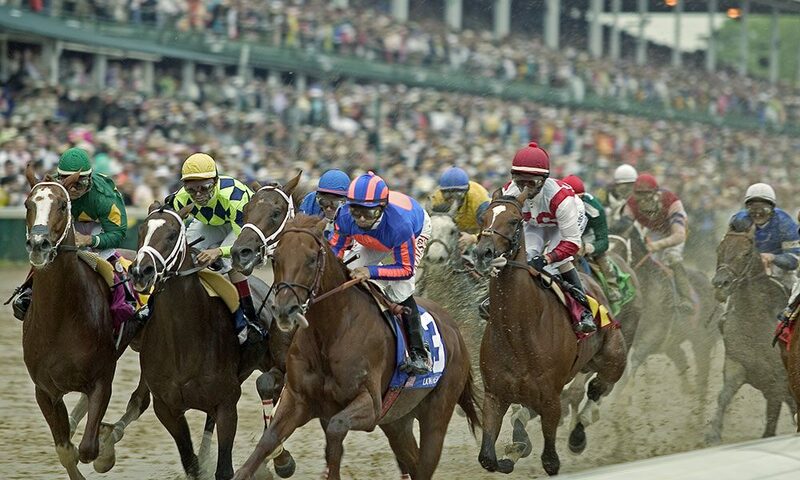 Today’s calendar is a special Kentucky Derby Day edition. This weekend brings all the feels—and makes me want to crank the Rolling Stones’ “Dead Flowers” loud while I drive down Broadway in Saratoga with my windows rolled down. You know, for the kicker line: “Oh, when you’re sitting in back in your rose-pink Cadillac, making bets on Kentucky Derby Day.” Yes, Saturday marks the 144th running of the fabled “Run for the Roses,” and given that we’re a horse town, we need to jump on the bandwagon and watch the race, no matter what. Where to watch it is an altogether different question. There are more than a few options in town (see below). Not to mention the fact that it’ll also be Cinco de Mayo, so it’s clear that Saratogians—and anyone else who wants to join in—will have quite a few options to party down this weekend. The Saratoga Casino and Hotel has its own Derby party going down, with tables and lounge reservations coming in at $16 a pop at the Vapor Night Club. Not to mention that you can gamble while you gamble! The Saratoga National golf course has its own soirée for Derby Day, which costs $30/person and features live music by Grand Central Station. R&R Kitchen + Bar at 43 Phila Street has drink specials from 1pm to 7pm on Derby Day. The ReRun Thoroughbred Aftercare. It starts at 3pm sharp. 2 West Bar & Grille is throwing its own hybrid Derby/Cinco de Mayo extravaganza. Make sure you download that Uber app! The Lodge also has its own “And They’re Off” Derby event from 4pm to 8pm, which sponsors Saratoga Sponsor-A-Scholar. There’s also saratoga living neighbor Cantina, where I’m sure they’ll be celebrating Cinco de Mayo all day. There’s a TV at the bar, so my guess is they’ll also be showing the Derby.